If someone travels a lot or just uses their laptop a lot it can be a good source of gift ideas. In this article P Pavarolar suggests some gift ideas for the WiFi user. Do you have a Wi-Fi(ed) traveler on your holiday shopping list? if so this gift guide can help you find the perfect Wi-Fi gifts for your Wi-Fi(ed) traveler. When it comes to buying Wi-Fi gifts for these mobile computing fanatics you need to ask yourself these 3 important questions about the gifts your are considering: Will it make life on the road easier for them? Will it make life on the road more fun for them? And will it save time and money on their travel? To make sure the Wi-Fi(ed) traveler on your shopping list is smiling on his or her next flight to New York, we've put together this wish list of our favorite gifts to give the working on-the-go Wi-Fi(ed) travelers. If someone on your list travels all over the map and have yet to have a mobile Wi-Fi subscription consider Mobile Broadband Network from Sprint. At $59.00 a month this subscription will gives a large nation wide coverage using Sprint existing mobile phone network that gives your traveler access to Wi-Fi Internet anywhere. If this Sprint plan is a bit much for your budget considers Boingo who provides access to Wi-Fi Internet via 100,000 hotspots world wide. The subscription for Boingo's plan is $21.95/month for the laptop and $7.95/month for Smartphones & PDAs. Getting the Wi-Fi access to your special someone will make their life on the road that much easier!! For finding out about Wi-Fi signal at the airports there is AirportWiFiGuide.com which your Wi-Fi(ed) traveler can use prior to leaving for his or her trip. We, however, recommend TrendNet Wi-Fi signal finder for when they are on the road. This little device is handy when you need know if there is Wi-Fi network that your computer can connect to in-range. A Wi-Fi signal finder can save time and the hassle of having to boot up and log-on to a laptop just to find out if there is Wi-Fi access around. The good news for this holiday is that the prices for Wi-Fi finders like the TrendNet Wi-Fi have been on a decline! Okay, you probably already have guessed that iPhone is going to be on our Wi-Fi wishlist and we say why not!! The iPhone is awesome and for the price of $399 + monthly plan it is still a bargain when you consider all of the technologies packed into this little device that you are getting. The iPhone is SURE to make any Wi-Fi(ed) traveler smile and it will definently make the life on the road that much more fun!! Connecting to public hotspots on the road and be a blessing or a potential curse with hi-tech theft out there. Give your Wi-Fi(ed) traveler on your list a Wi-Fi peace of mine and sign them up with JiWire's SpotLock which costs $39.95 per year. This subscription helps ensure that he or she will be safe while working over Wi-Fi. The JiWire's software will block hackers, and allows you to access your email or other private information safely. Let them take their favorite show with them on the road. Thanks to Slingbox ($129.99), no matter where they might be, they will never have to miss an episode of ER or Heroes. This device allow you to access your home TV and its programs over the internet from anywhere on your laptop. The TV-top device connects to your TV and your home Internet connection making your TV program available for access over any internet connection. Now you have a list of our favorite Wi-Fi gifts that will make any Wi-Fi fan smile this holiday, go on and start shopping!! Airport WiFi and Mobile Computing Article by www.airportwifiguid.com. Check out our WiFi service guide and rating for your airport today. Gift Cards Make a Great Gift! Whether it be online or a store, some people feel that a gift card or certificate is the easy way out when it comes to giving a gift. There is no doubt that they are easy and convenient, and the recipient can get a gift they definitely want. However, if you put a little thought into it and get a card from a store that you know the recipient likes, and/or suggest what they might buy with it then it is appreciated a lot more. You can get general gift cards everywhere, some of the best ones in terms of flexibility are from MasterCard, Discover etc. 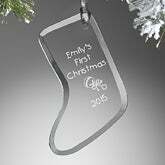 They operate the same as cash, they can be used anywhere, and they come with designs for specific occasions such as Christmas, weddings anniversaries etc. Cards from general retailers such as Amazon.com or Walmart gives the recipient a wide choice of goods, although do suggest what to buy because it shows you have thought about them and what they might need. They don't have to get what you suggest so it's a win-win situation. If you want to get something more specific there is a wide choice of specialty cards. Here are some suggestions by recipient. The sports fan has a lot of choices including NFLShop.com, SportsAuthority.com, Nike and Callaway Golf. For the NASCAR fan, Nascar.com offers electronic gift cards for use on their website. They can be sent via e-mail, and he can choose a t-shirt, mugs, model cars etc. in the comfort of his own home. If he travels a lot then Magellan's have a huge range of travel goods, or you can go for something like a Marriott or Hyatt Hotels and Resorts card so he can buy things when he's staying at a hotel. The gadget guy will appreciate a gift card from Brookstone or The Sharper Image. Another options is a card from their favorite restaurant such as Hard Rock Cafe, Dave and Busters, Tony Romas or Bennigans Grill and Tavern. One thing to consider is a bundle. This is a collection of cards aimed at a particular type of person. For him, you could consider bundles for the Do-it-Yourselfer, the Workout Enthusiast or a Winter Sports Weekend Gift Card Bundle. The obvious thing here is to get a spa gift certificate. Spa Finder and SpaWish.com offer certificates that can be redeemed in thousands of spas. Another great option is to get one for a Department store - she can get clothes, shoes, perfume etc. You can't go wrong with Macys, Bloomingdales or Neiman Marcus to name a few. For the home, Cooking.com offer a wide chioce of gifts, as do Linens N Things, Bed Bath and Beyond, Williams-Sonoma and Pottery Barn. Jewelry is a common gift, and she can choose something she'll love at Zales or Blue Nile. Gift card bundles for her include A Day Off for Mom, Dinner and a Movie or the Winter Sports Weekend Gift Card Bundle. A DINE SuperCertificate can be traded for cards from thirty different restaurant chains, so there's bound to be one they'll like. If they are just setting up home then Walmart or Williams-Sonoma are great choices. Restaurant Gift Certificates are a popular choice, or the DINE SuperCertificate is great too. With a bit of thought, whatever you choose will be appreciated, whether it be your spouse, family member, neighbor or co-worker. Christmas Collectibles are a lovely way to show you care - they brighten up the home and can increase in value over time. 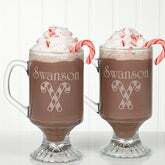 They make a great gift for a spouse, Mother, sister or other family members and friends. Collectibles Today offer a wide range of Christmas collectibles and are offering a free gift with selected collections. A Collecting First! Thomas Kinkade's Old World Santas - Thomas Kinkade, Painter of Light, brings his own vision to Christmas - where a snowy scene glows with warmth and bathed in moonlight - is magically revealed inside Santa's cloak. Now, for the first time ever in collectible Santa ornaments, Thomas Kinkade's magnificent art becomes an integral part of each ornament design! Imagine this collection in your home, creating a feeling of Old World elegance and charm, not just during the holidays, but all year long. Plus, with the collection you'll receive a FREE*; storage case - a $35 value! Thomas Kinkade's works are highly admired, so don't miss out. Order your Ashton-Drake collectible ornament collection today! Boston Red Sox Collectible Christmas Village Collection! Limited-edition MLB Collectibles Hit a Holiday Home Run! Here's a holiday home run that's sure to have your family cheering for your favorite baseball team, the Boston Red Sox! Now, for the first time ever, enjoy all the thrills of a day at Fenway Park in your own home with this Boston Red Sox collectible Christmas Village collection! The excitement begins with Issue One featuring Fenway Park and FREE Santa figurine, two flags and three ballpark pennants. Next, game-day in your village collection continues with Issue Two, The Red Sox Diner, Issue Three, Boston Red Sox Restaurant, and Issue Four, Boston Red Sox Station, each with select FREE accessories. Additional village buildings, each a separate issue and some with select free figurines and accessories, will follow! This limited-edition Boston Red Sox collectible Christmas village collection is available from Hawthorne Village and is officially licensed by Major League Baseball Properties. Every edition proudly sports the colors, logos, and symbols that bring the Red Sox to life in your home! This is an outstanding value for MLB collectibles that are sure to become family treasures, but you must hurry! Intense demand is expected - order now! Rudolph the Red-Nosed Reindeer(R) Christmas Town Village Collection Celebrates a Classic! 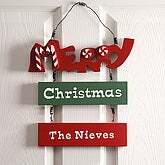 Exclusive Christmas Home Decor! For over three decades the television classic Rudolph the Red-Nosed Reindeer(R) has captured our hearts. Now, relive those cherished memories when Rudolph's(R) Christmas Town village collection comes alive right in your own home, starting with Issue One featuring Santa & Mrs. Claus' Castle and FREE Rudolph & Clarice figurine. Before long you'll be lining up for training at Issue Two, Coach Comet's Flight Camp, which includes a FREE Santa & Mrs. Claus figurine. Next, your Christmas home decoration collection continues with Issue Three, Reindeer Barn and Weather Watch Tower, and Issue Four, Santa's Toy Workshop and Sam Snowman figurine. Additional village buildings, each a separate issue and some with select free figurines and accessories, will follow. All the handcrafted and hand-painted Rudolph Christmas Town village buildings light up, casting a warm holiday glow on your beloved friends, Rudolph and Clarice, Santa and Mrs. Claus, the lovable Hermey, Bumble and more! This magical village collection is an exclusive Hawthorne Village collectible first and a great value you don't want to miss, so hurry! 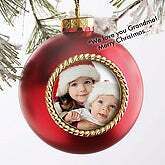 Strong demand is expected for this unique Christmas home decoration - order now! First Tim Burton's The Nightmare Before Christmas Village Town Collection Frightens Up the Holidays with Wicked Cheer! Jack Skellington can't believe his sunken eyes! With the turn of a knob, he falls into another world full of snow, candy canes and gifts galore in the first ever Tim Burton's The Nightmare Before Christmas Christmas Town Collection. Frighten up your holidays starting with Issue One, Sandy Claws' Workshop and a FREE Jack as Sandy Claws figurine. Soon after, you'll receive Issue Two, Christmas Town Shops and FREE Sandy Claws figurine. Additional issues of collectible village buildings, each a separate issue with select free figurines and accessories, will follow. This exclusive collectible first from Hawthorne Village is masterfully handcrafted and hand-painted in splendid hues. "Boo"-tifully haunting with lights, music and motion, imagine how wonderful your holiday display will be with this one-of-a-kind collectible village inspired by the genius of Tim Burton. Each devilishly detailed village building really light ups with ghoulishly glowing colors and the Merry-Go-Round is mesmerizing with music and motion. Don't wait to pay an unforgettable visit to Tim Burton's The Nightmare Before Christmas village town collection. Strong demand is expected. Order now! Looking for a unique gift for Christmas? How about naming a star after your loved one? It makes a great gift for Christmas, birthdays, anniversaries, Valentines day, Mother's Day, Father's Day, or just because! They won't already have anything like it, and it shows them how much they mean to you. Choose which package you want to get - the "basic" one is great, it offers a certificate, a map with the star marked and a booklet on astrology. There are also packages with the certificate framed, and also the star chart framed. You can also get personalized jewelry - making it an extra-special gift! It makes a great gift for your wife, girlfriend or fiancee. Or perhaps it's just for that slightly geeky boyfriend of yours. Whoever it's for, they will love it! You should realize that this is not recognized by the scientific community, and that the star is not actually owned by you. The star name is published in a book called "Your Place in the Cosmos". Buy a Star Name Today! There are a lot of online promotions for Black Friday (even though you normally to actually go to the store!) and Cyber Monday. I guess buying online saves you lining up, and getting up way too early after the excesses of the day before. There are also promotions for Thanksgiving itself - apparently a high volume day! Here are some Black Friday/Cyber Monday deals I'm aware of, feel free to leave any others you have found in the comments! I'll be updating this post as I find more! Get Free Shipping Over $75 from 11.22 to 11.24 at NFLShop.com! Get 20% off during the NFLShop 4 hour sale from 7pm to 11pm EST 11.25 at NFLShop.com! Get 10% Off Plus Free Shipping on Authentic NHL Jerseys 11.22-11.25 at Shop.NHL.com! Save 10% Plus Free Shipping on all Orders Over $85(excludes equipment) 11.22-11.25 at Shop.NHL.com! Carve 20% off Your Order 11.22 only (online only) at DicksSportingGoods.com!! Now at RedEnvelope – Free Shipping through 11/26/07. Use code: PFXSHIP at checkout. Get 47% off the SongPlay™ Music System for iPod® - a $150 value, now only $79.99! From 11/21/07 to 11/25/07. Get 38% off the 108-Piece Tool Set - a $160 value, now only $99.95! From 11/21/07 to 12/25/07. Get 20% off the NEW TomTom™ GO 720 Widescreen GPS System - a $499.95 value, now only $399.95! From 11/22/07 to 1/5/08. Get 23% off the DOC MP3 Speaker Dock - a $39 value, now only $29.95! From 11/21/07 to 11/25/07. Get 50% off the In-Out Blanket in a Bag - a $39.95 value, now only $19.99! From 11/21/07 to 11/25/07. Get 65% off the 6-in1 LED Multi-Tool - a $20 value, now only $6.99! From 11/21/07 to 11/25/07. Get 18% off the 5-Day Wireless Weather Forecaster - an $85 value, now only $69.95! From 11/21/07 to 11/25/07. Get 20% off the Super-Sized TV Remote - a $25 value, now only $19.95! From 11/21/07 to 11/25/07. Black Friday Save up to 25% at discoverystore.com! Thanksgiving Weekend Sale. Thursday, Friday and Saturday only at BestBuy.com! 11/22 - 11/24. $250 - $420 off select desktop packages at BestBuy.com. 11/22 - 11/24. $69 off Kodak Z712 Kodak - EasyShare 7.1-Megapixel Digital Camera at BestBuy.com. 11/22 - 11/24. $40 off Dynex 7” digital photo frame at BestBuy.com. 11/22 - 11/24. $50 off Dynex 9” digital photo frame at BestBuy.com. 11/22 - 11/24. $100 off Panasonic - Palmcorder MiniDV Digital Camcorder at BestBuy.com. 11/22 - 11/24. $100 off Zune MP3 player in brown, plus free shipping at BestBuy.com. 11/22 - 11/24. 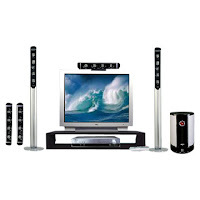 20% off TV stands and entertainment centers with TV purchase at BestBuy.com. 11/22 - 11/24. Free $25 iTunes card with purchase of three $25 iTunes cards, plus free shipping at BestBuy.com. 11/23 - 11/24. SanDisk Sansa e250 2GB MP3 player only $59.99, plus free shipping at BestBuy.com. 11/22 - 11/24. $100 gift card with Sony Blu-ray Plus DVD player at BestBuy.com. 11/22 - 11/24. Free projector screen (shipping extra) with Mitsubishi DLP home theater projector at BestBuy.com. 11/22 - 11/24. $300 off Garmin nüvi 660 GPS receiver, plus free shipping at BestBuy.com. 11/22 - 11/24. $200 off Navigon 5100 GPS receiver, plus free shipping at BestBuy.com. 11/22 - 11/24. $130 off TomTom ONE LE GPS receiver, plus free shipping at BestBuy.com. 11/22 - 11/24. 10% off all major appliances at BestBuy.com. 11/22 - 11/24. Free $10 gift card with any PS2, PS3, PSP hardware and select games at BestBuy.com. 11/22 - 11/24. Free $10 gift card with any Nickelodeon video game, plus free shipping at BestBuy.com. 11/22 - 11/24. Thanksgiving 4 Day Weekend Sale - Friday, Saturday, Sunday, Monday - Save up to 70% off! For more coupon codes, discounts and free shipping deals go to Great Online Deals. 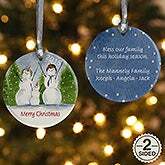 Christmas is a time of year full of memories and one of the best ways to preserve those memories is to get a personalized Christmas tree ornament or give someone a personalized Christmas stocking. They can be given to family, friends, neighbors and even co-workers. And, of course, you can just get one for yourself! Here is a selection of personalized Christmas gifts from PersonalizationMall.com. They offer free personalization on a wide range of goods. If you are interested, you should use one of the coupon codes at Great Online Deals. Are you searching for the perfect gift for your wife? Maybe you've already bought the diamond earrings she's been dreaming about or the smart phone she's been hinting at but need a few more things to really give her a special Christmas? If you're stuck for ideas then you're in luck. Below you will find great gifts that any women will love. Show your wife how much you appreciate everything she does for you by giving the gift of comfort. Every woman loves to be pampered and with these gifts you'll have her feeling stress free and comfy in a matter of minutes. Pajamas: Sure your wife probably sleeps in your old T-Shirts and boxers and finds them perfectly comfortable, but every woman likes to feel a little special now and then. Treat your wife to a cozy pair of pajamas that can keep her warm and comfy during the chilly nights. For ultimate comfort choose pjs that are super soft; materials like cotton or fleece offer both warmth and comfort. 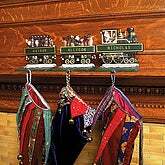 To keep things in the holiday spirit look for pants in reds, green, or other holiday themed colors or patterns. Slippers: In sticking with the theme of comfort, choose a great pair of slippers or slippers socks to pamper your wife's feet. She'll love to slipping out of her heels and into a fuzzy pair of slippers after a hard day at work. Look for slippers that are made of fleece, furry materials, or velvet for the ultimate amount of comfort and warmth. Robe: Score some points this Christmas with ultra soft, super comfy robe that your wife can snuggle up into on the long cold nights. There are several styles, sizes, and colors to choose from so find one that suits your wife's personality. When you're looking for a robe, consider what kind of of material and length your wife would like the best. Does she prefer short and silky robes or long and fuzzy robes. Don't be tempted to buy one that you like, instead buy one that you know she'll love. Remember, it is all about her after all. Bath Time Necessities: Let your wife unwind after a long day work and caring for the family by taking a long relaxing, stress free bubble bath. 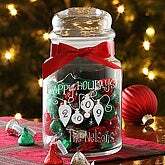 This gift is really simple and shows you put sometimes, thought, and effort into the gift. Find an extra large, soft, super absorbent towel; bath bubbles in her favorite sent, as well as candles and some body lotion and you have the perfect gift. Massage: Gift your wife the gift of ultimate relaxation with a trip to the spa. Find a reputable day spa in your area and purchase a gift certificate for a whole day or even an hour or so of indulgence. Your wife will be pampered by the pros and in the end will truly thank you for it. If you really want to impress her this Christmas give her a spa treatment for the two of you and you can score extra points by accompanying her on this relaxing adventure. Find everything you need to treat your wife to a comfortable Christmas at Hue. Hue is the premier one stop shop for ladies leg wear and accessories including socks, tights, and leggings. 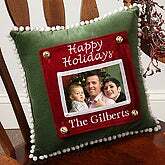 Every Holiday season artistry always makes a wonderful gift for a loved one, or is perfect for a family heirloom celebrating the time of year - and this year is no exception. Christmas is one of the brightest, most enchanting times of the year - a season of dreams, magic and childhood memories. To celebrate the occasion, Swarovski has created an inspiring Christmas world presenting three traditional tales that embody harmony and joy. Brought to life this season by the beauty of Gemma Ward and the lens of photographer Craig McDean. 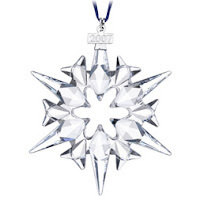 Annual Edition Christmas Ornament in faceted clear crystal. Blue satin hanger band and small silver-colored tag with year of issue 2007. Antique inspired Ruthenium plated necklace featuring Black Diamond crystal, Satin crystal and the new Swarovski Crystal Moonlight surface effect. Clip earrings with Satin crystal and Black Diamond crystal with Ruthenium plating. Delicate angel pendant in white epoxy and crystal pavé with Rhodium plating. Rhodium plated necklace featuring dancing angels in white epoxy and crystal pavé. Rhodium plated hair clip with white epoxy and crystal paved angel. Black satin and crystal mesh bag with a bow in crystal pavé, a limited edition for Christmas 2007. Ring with crystal pavé bow. Fully faceted clear crystal disc with poinsettia blossom in Light Siam crystal and Light Topaz crystal center, held by a cream-colored satin hanger band. Poinsettia blossom ornament in fully faceted clear crystal with accents in Light Siam and Light Topaz held by a cream-coloured satin hanger band. 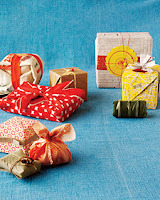 This is an article from marthastewart.com that gives some eco-friendly gift wrapping options. Given the time and thought that goes into picking a holiday gift, the standard wrap job -- a rumpled bow slapped on a department-store box or a bag and tissue paper picked up at the drugstore -- rarely does justice to the contents. But visual appeal isn't the only reason to reconsider your wrapping habits: Americans spend an estimated $2.7 billion annually on ribbons, paper, and bows, and almost all of those goods wind up in the trash. This year make gift wrap that's both gorgeous and green by creatively repurposing stuff others might toss. Notes eco-stylist Danny Seo, author of the new book "Simply Green Giving": "It's amazing what you can find at Goodwill. Vintage fabrics, wallpaper, and sweaters all make great wrapping -- just look for rich textures. "Sometimes," he adds, "the wrap will serve as part of the gift, as in the case of a belt or scarf used as a bow. When you think outside of the paper-covered box, the options are endless. Read on for wrapping ideas as stylish as they are sustainable. Birch bark and fresh leaves are surprisingly pliable; just roll and secure with twine. Find them in Asian markets and outdoors. Clockwise from top left: Banana leaf with cinnamon, bamboo leaves with hemp twine, bamboo leaves with star anise, banana leaves with reeds, birch bark with a feather. Biodegradable stuffing cushions small, fragile items just as well as plastic bubble wrap or Styrofoam peanuts, a recycler's worst nightmare. Clockwise from top left: Used wrapping paper, shredded; unsalted peanuts in their shells; air-popped popcorn; a pine bough. In Japan, the art of wrapping gifts in cloth is called furoshiki, and it's brilliantly ecofriendly. Secure open ends with a button, safety pin, or knot. Clockwise from top left: Vintage scarf; burlap rice bag; wool scarf with a knitting needle; tea towel with rickrack; scrap from a vintage kimono. Easy to find and work with, vintage and repurposed papers add pop to presents. Layer several colors and textures, or add vintage beads for a finished look. Clockwise from top left: Vintage wallpaper; Chinese newspaper topped with colored paper; recycled map; grocery bag with Japanese beads. Here are Brookstone's latest offers/coupon codes. Just in time for the Holidays! Take $10 off orders $125 or more from Brookstone! Use code AF6NOV. Expires 11/30/07. Take $20 off orders $200 or more from Brookstone! Use code AF4NOV. Expires 11/30/07. Take $50 off orders $500 or more from Brookstone! Use code AF5NOV. Expires 12/15/07. If you know an Elvis fan with a quirky side, then consider this life size robot as a gift for Christmas, birthday, or just because! Don't forget it's just the head! Lifelike and life size bust of Elvis Presley, just as he looked on television's legendary Elvis 1968 Comeback Special. State of the art technologies animate Alive Elvis so he looks, feels, sounds and moves like The King. Experience four modes, Alive, Monologue, Sing, or Sing Along. Plugs into a standard outlet with an included AC adapter. Also runs cordless on 8 D batteries, remote runs on 3 AAA batteries. If you are thinking of buying electronics, particularly for the Holiday season, now might be the time to do it and save money! Gift certificates may very well be the never-fail gift idea. Choose general stores, like grocery stores or department stores, or a specialty store if you know the person's preference, hobbies or interests. Try local restaurants, butcher shops, music stores, photography studios for gift certificate ideas, or even services such as landscaping, decorating or home improvement services. Another great choice would be a mall gift certificate. Many malls offer gift certificates that most stores inside the complex will honor. That way the recipient can choose which store they'd like and choose their own perfect gift. A gift certificate is a great idea for a coworker that you know little about. Some inquiring may be needed if you want to go the specialty store route, but general stores and local businesses are typically a good idea for gift certificates. If you're really stuck on an idea, try something for the person's office, cubicle or work area. Try finding a nice plant, an inspirational items like plaques and posters, a radio, calendars or perhaps even some kind of office equipment the person might enjoy. A seat cushion or padded mouse pad could be a great idea. Try a themed gift basket with the coworker's interests in mind. For the coffee-drinker, there are a variety of pre-made coffee themed gift baskets, or you could make your own for a personalized touch. There are many choices for food-themed gift baskets, such as teas, crackers, cheeses, etc. There are a few things you may want to consider before purchasing a gift. Religion is one of those. In most cases, the employees in an office come from a variety of backgrounds and prescribe to a variety of beliefs. What may be a great gift to one person, can often be a bad idea for another, and religion is one of the things that should be considered. If you're not sure of a person's religion, steer clear of religious items altogether. Along the same lines of thought, avoid alcoholic gifts such as wine if you are uncertain to whether a coworker drinks alcohol or not. Also, food allergies should be taken into consideration, as well as foods that could be taboo in another person's culture. Again, certain types of items are best given when you know the person's background and religious beliefs first. Gifts given to coworkers can be a great way to maintain a friendly office environment, as well as promoting friendship among employees. There are a few considerations that should be taken when choosing a gift, but there are also some great general ideas that can be personalized and appreciated by the recipient. This article has been submitted in affiliation with http://www.Facsimile.Com/ which is a site for Fax Machines. 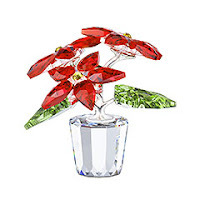 For more gift ideas you can: go to Bright Gift Ideas, go to Gift Guides USA for a comprehensive collection of gift guides, or for coupon codes, discounts and free shipping offers go to Great Online Deals. Here are five gifts suggestions for him, and five gifts suggestions for her, from The Sharper Image. USB turntable spins your old vinyl records into new digital music — MP3 or CD format! Escape the noisy world and relax in your own "quiet place™" with our new, improved noise-cancellation stereo headphones. State-of-the-art wireless headset practically eliminates background noise. The best way to get your digital photos off your computer and into your life. Advanced dryer works super fast, with far less damage to your hair. Beautiful mirror with luxurious viewing area. Genuine suede leather! Space-age Contour-Foam™ insoles make the most comfortable "foot beds"! Travel with a comprehensive digital photo collection – right on your keychain! I'm a management consultant and web entrepreneur. 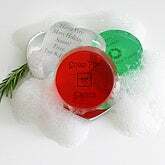 I have a number of projects; the main one being Bright Gift Ideas, a resource for people who need inspiration when it comes to getting a gift for someone. All of the views expressed here are honest appraisals, but I should let you know that if you buy something I may get some compensation.